Home » Unknown » Unknown » Should Your Privacy Die With You? Should Your Privacy Die With You? Privacy of an individual is recognized as a human right world over. According the European Convention on Human Rights (ECHR),“everyone has the right to respect for his private and family life, his home and his correspondence”and according to the Universal Declaration of Human Rights (UDHR), “no one shall be subjected to arbitrary interference with his privacy, family, home or correspondence, nor attacks upon his honourand reputation. Everyone has the right to protection of law against such interference or attacks”. 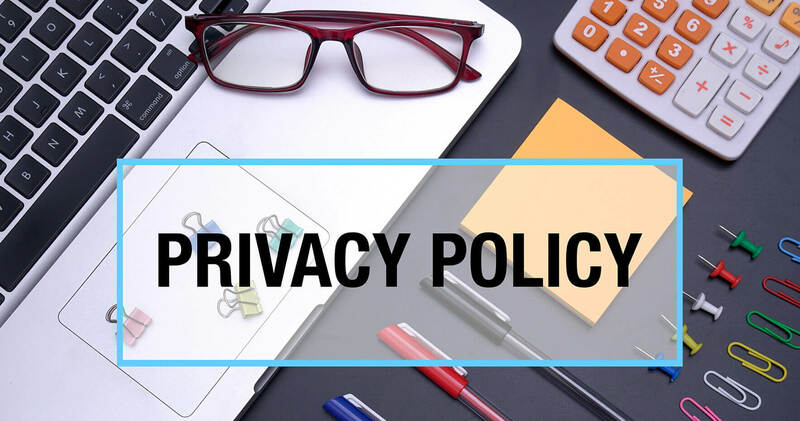 As per the Black’s law dictionary, privacy is the condition or state of being free from public attention to intrusion into or interference with one’s acts or decisions.Privacy is the right to personal autonomy. Privacy is the “desire of people to choose freely under what circumstances and to what extent they will expose themselves, their attitude and their behaviour to others”.In 1890 the United States jurists Samuel D. Warrenand Louis Brande is wrote The Right to Privacy, an article in which they argued for the “right to be let alone “using that phrase as a definition of privacy. In the Indian jurisprudence also, privacy has been defined as, “right to be let alone”. The constitution of India though expressly does not provide for right to privacy it has been held to be a facet of Art 21; Right to life and personal liberty by the Supreme Court in Justice K.S. Puttaswamy (Retd.) & another v Union of Indiacase. For the first time in India the Supreme Court in the case of M.P. Sharma v Satish Chandrawhere the court held that right to privacy is not a fundamental right under the Indian constitution, unlike the US. In 1962, in Kharak Singh v. State of U.P, the SC spoke about right to privacy and held that the Indian constitution does not guarantee right to privacy. In the case of R. Rajagopal v. State of T.Nthe Supreme Court held that the right to privacy was implicit in the right to life and liberty guaranteed to the citizens of this country by Article 21. It was a “right to be let alone.” “A citizen has a right to safeguard the privacy of his own, his family, marriage, procreation, motherhood, child-bearing and education among other matters.”Finally in privacy case the a nine judge constitutional bench of the SC had declared that right to privacy is a fundamental right and it comes under Art.21 of the constitution and constitution thus guarantees it. In Justice K.S. Puttaswamy (Retd.) & another v. Union of India, honourable Justice Abhay Manohar Sapre held that “the right to privacy has multiple facets, and, therefore, the same has to go through a process of case-to-case development as and when any citizen raises his grievance complaining of infringement of his alleged right in accordance with law”. In the view of the above, the right to privacy has a wide scope and it need to be expanded on a case to case basis. It is also a settled rule of interpretation as held in the case of Rustom Cavasjee Cooper v. Union of India, that the Court should always make attempt to expand the reach and ambit of the fundamental rights rather than to attenuate their meaning and the content by process of judicial construction. Whether Right To Privacy Is Extended Even After Death? According to Salmond, rights are interests protected by ‘rules of right’, i.e., by moral or legal rules. When interests are worth protecting on moral grounds, irrespective of the existence of a legal system or the operation of law, they are given the name of a natural right.So privacy had always remained a natural right, so whether it can be extended even after the death of a person? The verbatim of Art 21 states that “No person shall be deprived of his life or personal liberty except according to a procedure established by law.” To extend privacy to the deceased, the word person used in Art.21 should also include dead. Therefore, the analysis of the definition of the word person is important. The definition clause in Art 366 of the constitution does not provide a definition to the word person. So the General Clauses Act and Indian Penal Code need to be referred for its definition. Sec 3 (42) of the General Clauses Act 1897defines a person “to include any company or association or body of individuals, whether incorporated or not.” The Indian Penal Codedefines a person in Sec11 to include “any company or association or body of persons whether incorporated or not.” Neither of these provisions speak about the dead nor include them under the category of persons. So the law has not so far defined a person to include a dead person. In the cases of Coverstone v. Davies, Werner v. Times-Mirror Co, James v. Screen Gems, Inc,Kelly v. Johnson Publishing Co., Metter v. Los Angeles Examiner it has been held that thatthe plaintiff will get remedy only if he proves that his privacy rights are violated and not others. Further in the case ofHendrickson v. California Newspapers, Incit has been held thatprivacy rights does not survive but dies with the person. Justice K.S. Puttaswamy (Retd.) & another v. Union of India, honourableJustice Abay Chandra Saprehas observed that privacy is a right that remains with the human being till he/she breathes last. In other words, it is born with the human being and extinguish with human being. The dead has some rights which cannot be detached. Even if the body is denuded of the life, life and body together forms a human being. The Indian succession Act, 1923provides for execution of the will of a person, after he has died. Under the transplantation of Human Organs Act, 1994a person has a right of protection of his dead body, to be mutilated, wasted or its organs to be taken out, except by the consent of the person, when he was alive or on the consent off his kith and kin or the state if the body is unclaimed. Therefore only limited rights like execution of will, right to have a dignified cremation of the body were only available for the dead. But privacy also has scope to be extended even after death as privacy is an element of dignity. Right to dignity extends even after death. Similarly in the case of Vikram Deo Singh Tomar v. State Of Biharit has been held that “every person is entitled to a quality of life consistent with his human personality. The right to live with human dignity is the fundamental right of every Indian citizen under Art.21 of the Constitution. The dignity of man is inviolable. It is the duty of the State to respect and protect the same. In National Legal Services Authority v Union of Indiaexplaining the ambit of Article 21, the Court noted: “Article 21 is the heart and soul of the Indian Constitution, which speaks of the rights to life and personal liberty. Right to life is one of the basic fundamental rights and not even the State has the authority to violate or take away that right. Article 21 takes all those aspects of life which go to make a person’s life meaningful. Article 21 protects the dignity of human life, one’s personal autonomy, one’s right to privacy, etc. Right to dignity has been recognised to be an essential part of the right to life and accrues to all persons on account of being humans”. This right to dignity had already been extended even after the death of the person. It has been held by the Hon’ble SC thatright to dignity and fair treatment is not confined to the living man but also his dead body in Paramanand katara v Union of India. In the opinion of Justice R.F. Nariman “A Constitution has to be read in such a way that words deliver up principles that are to be followed and if this is kept in mind, it is clear that the concept of privacy is contained not merely in personal liberty, but also in the dignity of the individual”. Justice Sanjay Kishan Kaulalso in his concurring judgment had held that Privacy, for example is nothing but a form of dignity, which itself is a subset of liberty. So it is inferred from the above observations that privacy is the core of dignity and right to dignity is not only confined to living persons but also to dead. In the current legal position shows that dignity extends even after death so privacy should also extend as it is a subset of dignity. But even in Paramananda Katara case the honourable apex court of India had recognised right to dignity of dead body only and the judgment doesn’t deal with the whole concept of protecting the dignity of the dead. So strictly inferring from the current position of law we could conclude that privacy cannot be extended to dead. But this right need to be considered and must be given protection by the law to avoid invasion of privacy of a person simply because he is dead. If this right is not given protection it will surely misguide the people. There is high chance of misinterpreting the law. In simple terms, the people may misunderstand that, invading into once privacy is against the constitution, when a person is alive, but it is not so when he is dead. A very narrow interpretation cannot be given to privacy rights, and it cannot be curbed and made not available for the deceased. This is because privacy is one such right that is closely intertwined with reputation, character of the person and also with the family, personal background of the person. Thus,the right to privacy should be given even after a person’s death. Death should not make any difference in Right to Privacy and this should be made available to every citizen during the lifetime and even after the death. This follows the same principle as that of right to reputation. Right to reputation is also a fundamental right that extends even after death. Right to reputation is a facet of Art 21. The reputation of dead also protected and penal charges can also be initiated for harming the reputation of a dead person. Explanation 01 to Section 499of IPC states that It may amount to defamation to impute anything to a deceased person, if the imputation would harm the reputation of that person if living, and is intended to be hurtful to the feelings of his family or other near relatives. Defamation.—Whoever, by words either spoken or intended to be read, or by signs or by visible representations, makes or publishes any imputation concerning any person intending to harm, or knowing or having reason to believe that such imputation will harm, the reputation of such person, is said, except in the cases hereinafter expected, to defame that person.